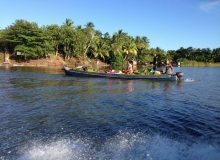 There are several Corn Island hotels, most of them are on the water, and although in general a bit more pricey than hotels in mainland Nicaragua, hotels in Corn Island are still a bargain by Caribbean standards! The nicest, most complete of all hotels on Corn Island. Although ocean front, there is really no beach to swim in, however there are many comfortable lookout points to sit down and enjoy the view. The hotel has the only infinity swimming pool on the island. Comfortable spacious rooms have been designed to provide ocean view from the comfort of your beds! Staff is very friendly and the property has one of the best restaurants on the island. With a total of 20 rooms, Casa Canada is one of the largest hotels in Corn Island. 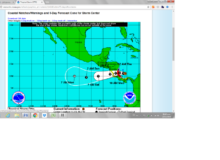 www.casa-canada.com, E-mail: [email protected], Telephone 505 8644 0925. Located on one of the nicest beaches in the Corn Islands, Picnic Center Hotel is a typical small island hotel on the Caribbean. 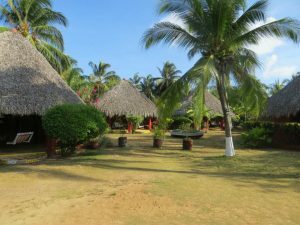 A wooden construction built on stilts and right on the beach, with a nice spacious thatched roof restaurant and bar. They only have 9 rooms and they are basic, but complete with a private bath, hot water, air conditioning, cable TV and even Wi Fi. Who needs more if you are at a lovely white sand beach? E-mail: [email protected], Telephone: 505 8437 5501. 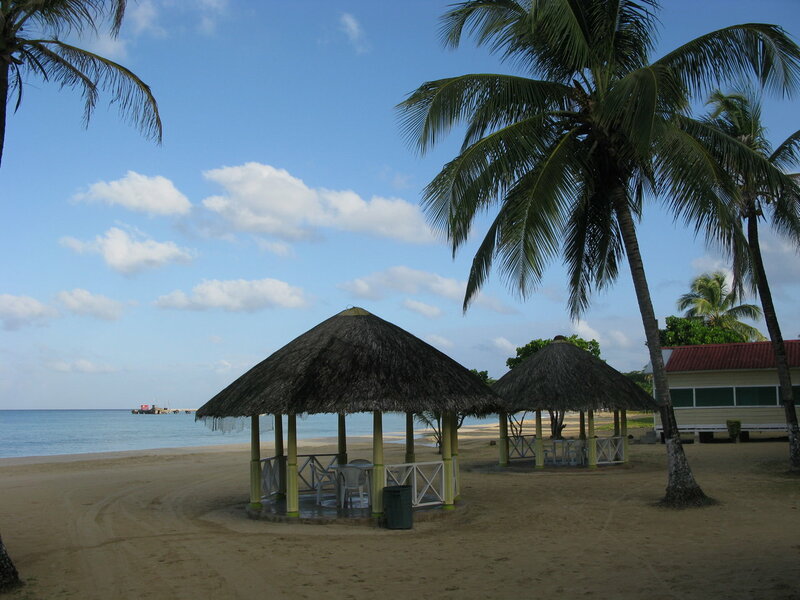 This is one of several hotels in Corn Island located on this lovely beach in Southwest Bay. A true touch of Caribbean architecture! 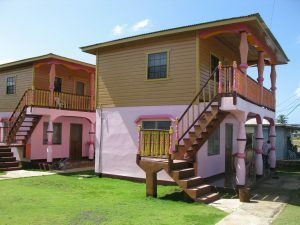 Hotel Morgan has a nice set of two story bungalows and is located across the street from a nice beach with a lovely view of the Caribbean and perfectly situated to catch the cool Caribbean trade winds. With a total of only 12 rooms, service by the owners is kind and prompt. This is a good place to get a feel of what life on the island is all about! Rooms are reasonably priced and have all the amenities you would be looking for, such a private bath with hot water, air conditioning, cable TV, and Wi Fi. Although there is no pool, there is access to the beach across the street! E-mail: [email protected], Telephone 505 2575 5052. This is one of the affordable hotels in Corn Island. Located on Southwest Bay, Arenas is the largest of hotels in Corn Island. 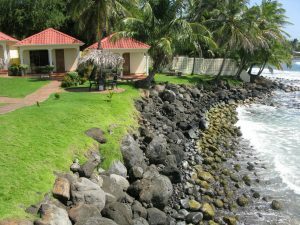 With a total of 32 rooms, direct access to one of the nicest beaches in Nicaragua and a true full service hotel. 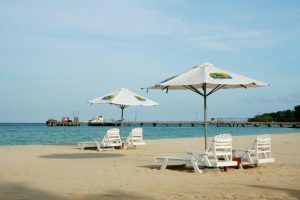 They have one of the best web pages for hotels in Corn Island: http://www.arenasbeachhotel.com/en/ . Their telephone number is (505) 2575 5223. Located close to town, but only a small walk to the beach known as shipwreck beach, Club Paraiso is truly a paradise on earth, being one of the hotels in Corn Island to have a unique tropical architecture with thatched roofs, tropical gardens and one of the best restaurants in town! Boasting a total of 14 rooms, with a maximum capacity of up to 45 guests. Owners Ton and Mike are always willing to go out of their way to help arrange activities for guests. 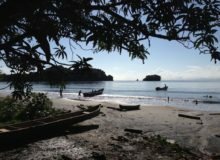 Great beach snorkeling.http://www.paraisoclub.com Telephone (505) 2575 5111. 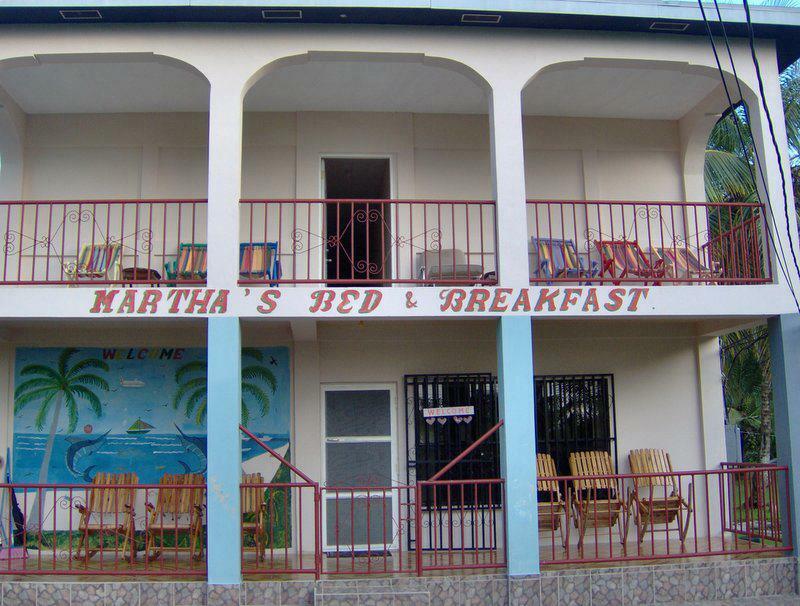 Located in town, in the quiet South End neighborhood, this is one of the most affordable hotels in Corn Island. 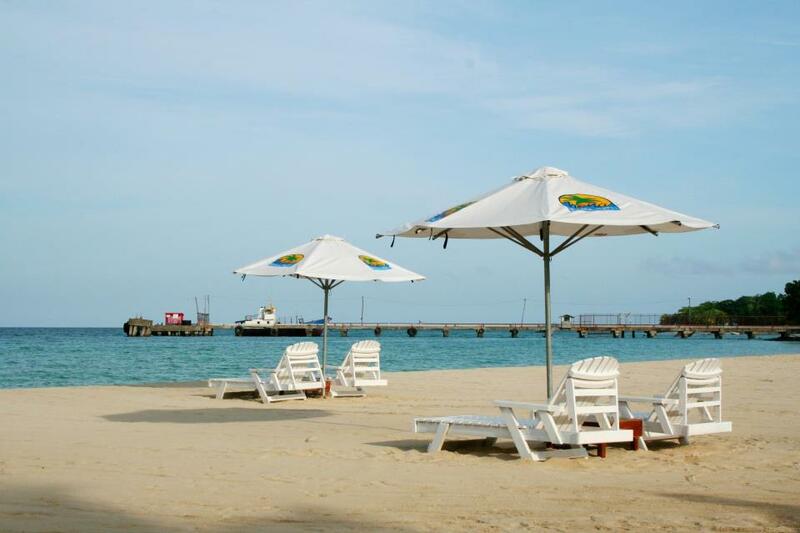 Sunrise is close to the beach, offers large rooms and a pleasant island atmosphere at a very reasonable price! http://www.southendsunrise.com/ The hotel has a total of 15 rooms with private bath, air conditioning and restaurant service. Telephone: (505) 25755861. A small, intimate hotel located right on Shipwreck beach, this is one of the most charming hotels in Corn Island! Owners, Teresa and Giorgio, from Italy, have made their home in Corn Island and are innkeepers at this pleasant, simple and intimate little lodge. Outstanding Italian food served here! Truly a gem if you like simple, comfortable settings! 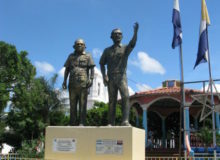 http://www.bellavistacaribe.com/ Telephone: (505) 8941 2959. 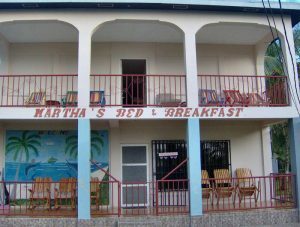 Located at the Municipal Wharf in Corn Island, this is the first hotel in Corn Islands you will see if you arrive on the Ferry from Bluefields. 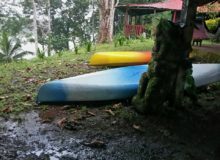 Also offering one of the best restaurants in town, Fishers Cave is a great option if you are arriving or departing on the ferry service to Bluefields. The restaurant is open daily for breakfast, lunch and dinner. 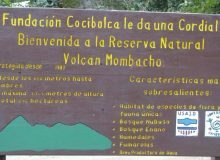 http://fisherscavecornisland.com Telephone: (505) 2575 5191. Fishers Cave Hotel has 14 rooms all with private bath, air conditioning, TV, wifi, plus a full service restaurant and bar. A lovely, unique combination of Caribbean Charm and Italian excellence! This is the closes thing to a boutique hotel in Corn Island. Located right on the beach, on a small point, and providing a truly intimate setting. Thatched palm roofs, outstanding service… this is truly paradise on Corn Island. 10 rooms and bungalows, each with private bath and hot water. Island design keeps rooms cool, so no air conditioning and certainly no TV in rooms. Direct access to beach. http://www.laprincesadelaisla.com Telephone: (505) 8854 2403.